The idea of outsourcing payroll to a payroll provider has been a hot topic in business lately, and one that's no doubt controversial. While many have heard of some of the pitfalls, too few have taken the time to focus on the benefits—or, for that matter, on whether the decision is right for them. Like all things, outsourcing your payroll is a choice that you as a company need to make for yourself. What's suitable for some might not be suitable for others, so it's important to make an informed decision. In-house is naturally the most common type of payroll processing right now, largely because it's traditional and familiar. Many companies, both large and small, rely on this method day-to-day to keep everything in order but of course, there are some major issues. 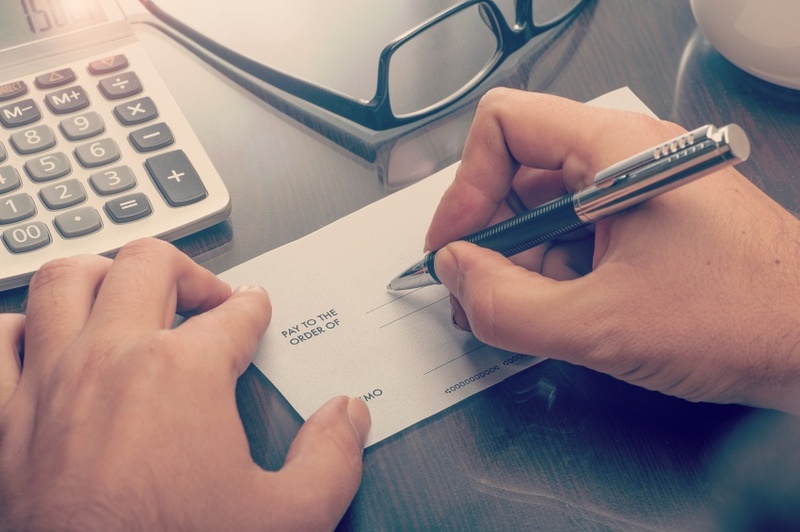 First off, payroll processing is by far one of the most expensive aspects of business—especially since it's linked so intrinsically to human resources, yet another big expense. It puts a lot of pressure on your budget, and on the people in charge of it because it's a complicated part of daily operations. Many companies tasked with cutting costs have focused their efforts on stripping their payroll and human resources department, which can take a serious toll on the quality of the work. They often feel like they have no choice—even large companies know that they need to employ a full team (often full time as well) just to maintain their operations. Don't forget—payroll isn't just about financial planning, it's about legal compliance, human resources, and a great deal of accounting. Many small businesses can't afford to have more than one person managing all those duties, and this can get complicated quickly. A common situation for small businesses and startups is that one person working on a part-time basis addresses all these concerns, which means when questions arise, they're not always readily available to help. On the other hand, those who have started taking advantage of a payroll provider have found a great deal more freedom. Not only is it a great deal less expensive than handling all the responsibilities in-house, but you'll get the experience and hard work of a full team for less money. Perhaps most importantly, they're available whenever you need help or answers, no matter what time of day. Communication is their foundation, and that means building a relationship based on trust. That’s something we can all benefit from. All of this sounds fantastic in theory, of course, but we also must consider what it looks like in practice. A payroll provider can act on your behalf to file taxes, pay your workers, and manage complications like garnishments, vacation payouts, benefits, and more. They're also great legal minds, considering compliance at ever turn, which can help you minimize your risk in terms of costly errors and mistakes that could turn into audits, fines, and even jail-time depending on the severity. They're always on top things that may be hard to keep track of otherwise, such as changing laws, regulations, policies, or anything else that might effect how you do business. It saves you the time and the money that you might spend training your own specialized set of workers. Imagine the efficiency you can achieve with a payroll provider—freeing up your budget, spending less time training people and researching legal changes, simplifying your workload, and putting your in house employees to better use elsewhere. Especially for smaller businesses that can't afford to manage all of these concerns or otherwise lack the necessary tools, payroll providers have been changing the game. Consult with one today and find out if it's the right decision for you and your business. An important question on the minds of thousands of business owners in the country is this: should we continue to do payroll in-house or consider outsourcing to a payroll provider? It seems like a simple question, but it's actually a rather loaded one since there are a lot of things to consider. Traditionally, almost all payroll has been done in house, whether by several departments, a full-time individual, a part-time worker, or by other means. In the last few years however, payroll providers are increasing in popularity and it has left many intrigued. Thankfully, we can help clarify the main differences between dealing with your payroll in house, or outsourcing to a trusted provider, so that you can make an informed decision. In-house is the most common and familiar way to do payroll. While a great deal of large companies have whole teams dedicated to payroll, small companies, family-owned businesses, and start-ups are most likely managing with an employee or two. It's an expensive venture one way or another, often taking up the lion's share of a budget and as employees are fired and hired, the complications alone can cause the cost to skyrocket. Regardless of the size of the company, we know that payroll is not just an expensive aspect of doing business, but a time-consuming one as well. One of the major challenges to in-house payroll processors is simply the amount of time it takes to complete and the inability to find much in the way of efficiency as. As businesses expand and grow, they often forget to make adjustments in terms of payroll and human resources, which leaves a lot of workers stressing out about the pile up of more and more work. When you begin to consider the legal aspect of payroll, this can be the most challenging part of handling your payroll in-house. When even a simple mistake, whether a misclassification or a misspelling, can cause fines, penalties, and more. It's not only stressful, but it’s risky as well. Though many financial employees may be up to speed on these sorts of concerns, when payroll overlaps with human resources concerns, things become even trickier. Having to keep up-to-date on payroll law is one thing, but your team needs to be educated on human rights and labour laws as well to ensure that they are compliant every step of the way. Complicated and labour-intensive, this is a huge downside to processing payroll in-house, especially for small companies. Perhaps the biggest misconception about having a payroll provider is the idea that it's expensive—more expensive than doing it yourself, or in house. Even when you consider the reduction in risk from mistakes and legal compliance, it's actually cheaper. You can secure the services of a payroll provider for a simple monthly fee—which means a full team at your disposal, with expertise in compliance, labour laws, and all things payroll and human resources. As laws, processes, and procedures are always in flux, a payroll provider is able to continue their training and remain up-to-date at no cost to you. 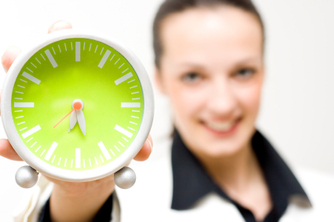 As for time management, when you outsource payroll you can stop concerning yourself with it every week or month. Not only is the process more efficient by virtue of the experts you've entrusted it to, but now that it's off your plate, you can direct your workers to more important tasks within the company and make much better use of your assets and resources. This takes the stress off your workers and puts them back into operations. Imagine if you didn't have to worry about legal compliance in terms of payroll again. That's a reality with a payroll provider—they're legal experts and can ensure your compliance. They'll even file your taxes on your behalf, cutting down the costs for an accountant. Consider talking to a payroll provider and finding out what they can do for you. Taking care of payroll for a Canadian company? If so, you've got some very specific rules and procedures to follow, and it's important to get everything right. If you've set up a business and hired people to work for you, it's your job as an employer to pay them properly, and that means operating and maintaining a CRA account, collecting information from employees, making appropriate deductions, remitting these deductions, calculating and remitting your employer taxes, and taking care of year-end reporting. Let's examine these tasks in more detail. 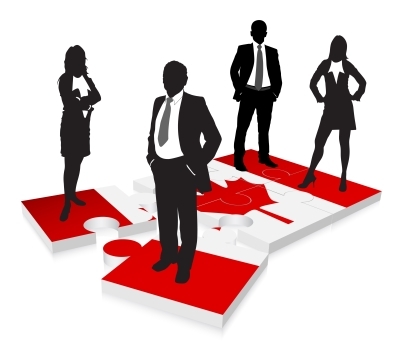 As soon as you hire employees, you must open a payroll account with the Canada Revenue Agency. This account will be used for remitting your employees' payroll deductions. Once your set up an account with the CRA, you will collect information from employees, such as their SIN numbers and work status. Ideally, this should take place as part of the hiring process. For each pay period, your payroll duties should include deducting funds from your employees' paychecks for income tax, Canada Pension Plan (CPP) contributions, and Employment Insurance (EI) premiums. For each of these deductions, you'll need to refer to the appropriate provincial or territorial tables where the employees report for work. Every province has different employer taxes and rates for those taxes. This becomes especially complicated when you have employees in different provinces because you'll have different calculations and different government accounts. Remember that if you employ any workers in Quebec, you'll need to deduct funds for a different pension plan, the QPP (Quebec Pension Plan). Not only do you have to worry about calculating your employees' taxes, but you also have to pay employer taxes, over and beyond your employees' taxes. These employer taxes include the Employer's percentage of EI and CPP as well as worker's compensation and the Employee Health Tax (EHT) in Ontario. Once you've tabulated the deductions for each employee, it's your responsibility as an employer to remit the funds to the CRA. Once you remit for the first time, you will be sent a remittance form to send in when you take care of monthly payroll. For the first time, however, send a letter explaining that you are a new remitter, along with a check for the total remittance amount, and be sure to send along your Business Number. If you only had to remit to only one agency, this task wouldn't be too difficult, but you have to deal with three different government accounts (payroll tax, EHT, and worker’s compensation) on a regular basis. These accounts often have different remittance frequencies; an average company will have remittances due to three different agencies during the month, but the remittances will all be due at different times. At the end of the calendar year, you have some payroll work to do. You must complete a T4 slip for each employee, summarizing all tax, CPP, and EI contributions for the year. After you've completed all of your T4 slips, you will complete a T4 summary form, which will be submitted to the CRA. These forms will be used to help employees and the CRA reconcile and tabulate taxes, contributions, and premiums for the year. Staying on top of payroll can be very time- and resource-consuming for a small business, not to mention the administrative headaches involved. If you find that you'd rather source out these tasks to a professional payroll service provider, contact us at The Payroll Edge. For more than 25 years, we've been taking care of payroll so our clients can take care of their businesses. A payroll service can change your job overnight. Instead of spending hours each week looking at figures on tables, calculating deductions, printing up checks, and distributing them to your employees, you can focus on innovation and growing your business. But to truly optimize the benefits of a payroll service, you've got to choose the right one to begin with. 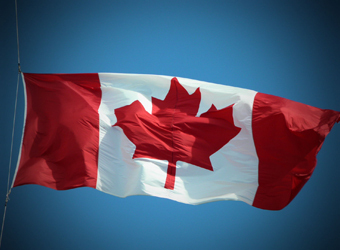 Here's how to choose a payroll service provider in Canada. 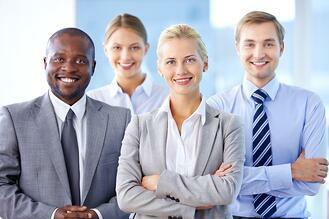 A successful payroll service provider will be more than happy to provide you with references. In fact, they'll encourage you to contact their clients so you can hear for yourself how helpful their services are to their customers. Follow up by contacting these references, and ask specific questions: Does the service return your phone calls promptly? Have you ever had any problems with tasks not being completed on time? Do you have a good working relationship with the payroll service provider? Is the payroll service available for answering questions? When you choose a payroll service provider, you entrust that provider with a large amount of sensitive information, and you don't want to have to start all over again if the provider goes out of business. Find out how long the provider has been in business – a long-standing payroll service provider with many clients is less risky than a brand new provider with no clients. And ask their customers about timeliness of payroll payments to their staff. It’s a big red flag if payroll dates have ever been missed or delayed. Do they make remittances to every government agency, or just the CRA? Some payroll companies will remit just payroll taxes, EI and CPP, but will not remit to worker’s comp or EHT in Ontario, leaving it up to their clients to wade through all their payroll data and make their own filings (and hope they have not overlooked any compliance details). Do they just “print cheques”, or do they scrutinize the actual payroll data checking for errors before they process it? Can you call them up and speak with an employment expert to get advice about HR or how to interpret the latest regulatory changes, or do they just point you to some online pdfs? What are the qualifications of the people at the payroll company – are they certified for payroll and human resources? Or do they just have low-level data entry clerks with no idea about HR matters like overtime, vacation and stat pay. Different payroll service providers have different ways of operating, and you should look for a provider that makes life easy for you. For example, the way you "call in" or input payroll information could potentially have a large impact on the way your own business operates. Does the provider have a way for you to authorize payments if you're out of town? Can you input information online? How many people can be authorized to give payment information to the payroll service provider? 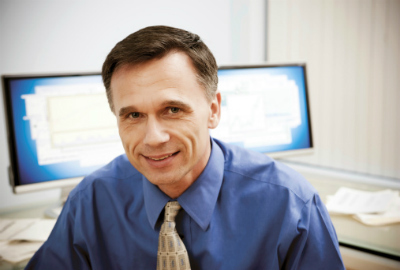 These are important questions to ask when you're searching for a payroll service provider. At the end of the year, all Canadian employers are required by law to prepare certain documents for employees and for the CRA. As you're doing your research, ask specifically about preparation of T4s. You'll want a payroll service provider whose services are comprehensive. In the business world, the only thing that's constant is change. Old employees leave, and new employees are hired. Salaries and wages change, and tax deductions vary. Therefore, you need to know if it's easy to make changes to your payroll through your payroll service provider. 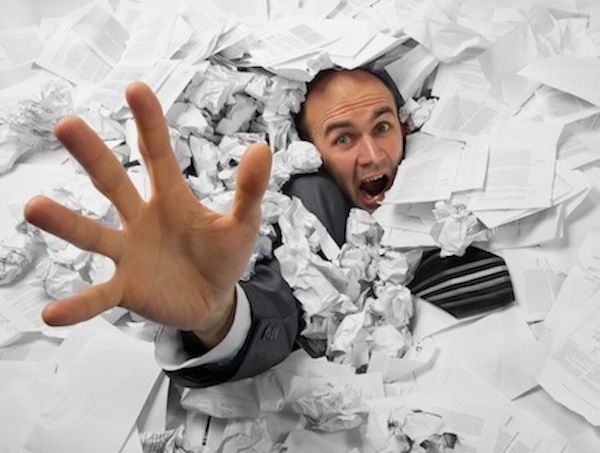 Does every change require major paperwork? Can you handle changes in payroll online or with a phone call? If you do your research well, you'll find a payroll service provider that fits your business perfectly. To find out more, contact The Payroll Edge to find out what we can do for your business. Most businesses know that it doesn’t make any sense to try and do everything themselves. They focus their time and energy on their core pursuits, and outsource other business needs to contractors and specialists. This allows the business to really focus on their clients, services, and products, without the distraction of tangentially related business tasks. By outsourcing these tasks to seasoned professionals, business owners and managers also enjoy increased peace of mind. Payroll services are no different. There are many advantages to outsourcing payroll to a professional service company. Businesses that have come to find it an irreplaceable necessity. For most small- to medium-sized businesses, payroll is just one of many tasks performed by an office manager or HR personnel. They crunch the numbers and issue the cheques weekly, bi-weekly, or monthly, depending on the company’s pay schedule. Since they don’t do it all the time, their experience and expertise are necessarily limited. This increases the amount of time needed to perform the tasks, and also introduces an increased chance of errors or omissions. A payroll service handles the same tasks every day of the week, for dozens or even hundreds of companies. Every day is payday for someone, somewhere. The service employs dozens of people who do nothing but handle these services all day, every day. Every time an office manager performs these duties, the service has already done those duties countless times. They are constantly gaining experience, updating their skills, and perfecting their workflow. There’s more to processing payroll than just calculating how much withholding to deduct. There’s stat pay regulations adherence, vacation allowances to track, and insurance premiums to reconcile, never mind the other potential employer burdens the company may be responsible for. An in-house office manager may not have the expertise or resources to address and deal with complex HR matters. With an outsourced payroll service, businesses gain the advantage of additional expert services and advice. A qualified provider can assist with contract negotiations, workplace training, accessibility compliance, safety inspections, and more. And in the event of an audit, they can provide advice, assistance, and representation to help defend the business. An experienced payroll service can take on almost any task related to workers in the workplace. They can even manage independent contractors, ensuring that they don’t end up reclassified as employees, potentially costing the business thousands in fines, penalties, and repayments. Successful businesses typically do few things, and do them very well. The more tasks they try to take on, the less focused on their core pursuits they become. This loss of focus can have a negative impact on customer satisfaction, causing the entire business to suffer. Every day, businesses outsource tasks that aren’t directly related to their core business, their customers, products, and services. Tasks like accounting, logistics, maintenance, and hundreds of others are turned over to experts in those fields. Payroll processing and HR administration are no different. Turning them over to seasoned professionals guarantees better results, and allows the business to take advantage of all of the other services they provide. 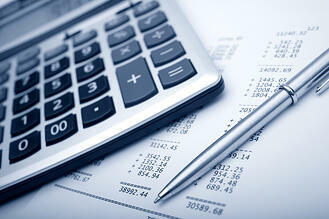 A lot of business professionals are searching for the term “payroll calculator” online. Most of these professionals own or work for small businesses that use accounting software with built-in payroll modules. This presents an interesting question: why would professionals, who already have access to a payroll calculator, be searching the internet for a payroll calculator? It would seem they are somehow unhappy or unsatisfied with the payroll calculator that is included with their business accounting software. While business accounting software does many things very well, there’s a lot more to payroll than just crunching numbers and issuing cheques. Given the popularity of the search term, it would seem that many professionals are starting to expect more from their “payroll calculator.” With an outsourced payroll service, more is exactly what they’ll get. Essentially, any aspect of the business that relates to employees, contractors, compliance, and training can be handled by a qualified payroll service. Engaging a payroll service helps ensure professional results, while also saving the business valuable hours that would be spent trying to do it all themselves. With business accounting software, the support is typically limited to questions related to the software itself. Some higher-end software may offer telephone or email support for legal queries—though the answers are likely to be vague and overly generalized. A qualified payroll service provider offers support that is far more substantial. Audit assistance—Audits happen. Whether it’s by the CRA, the Workers’ Compensation, or some other agency, any business can be the subject of an audit. When that happens, vague answers from a software company won’t be much help. High-quality payroll vendors can offer real audit support—complete with consultations, document preparation, and representation. Disclosure advice—When dealing with a government agency, the only thing worse than withholding information is providing too much information. Too little information gives the appearance that the business is not being forthcoming. Too much information can expose trade secrets, air irrelevant dirty laundry, and create additional problems with other government agencies. With their vast experience, payroll service providers are experts at separating the relevant information from the extraneous. Any dealings with government agencies can have negative repercussions. Payroll services deal with these government agencies on a frequent basis. Aside from audits, they frequently interact with various agencies on matters of compliance and legislation. This gives them the experience necessary to help businesses navigate the murky legal waters. A hotline from an accounting software company simply can’t provide the same degree of support. Accounting software does many things well, and is an indispensable part of running a small business. However, there are things that even the best software can’t do. Professionals searching the internet for a “payroll calculator” already know that the software leaves out a lot of things to be desired. All of those things, and more, are available from a professional payroll service provider. As you tackle the day-to-day challenges of running a business, you have a lot of things on which to concentrate. From staffing to strategy, you have your hands full with very critical tasks – things that simply must be done. However, one of the most important things you must be responsible for is properly paying your employees. While this seems like a very standard concept, it can be much more complicated than it seems at an initial glance. And while some things, like your long-term business model, are best left in your hands, payroll is perhaps one best left in the hands of a dedicated payroll service. Here's why. A payroll service specializes in – you guessed it – payroll! Things that may make your head spin, like countless government regulations and complicated forms, are commonplace to them. At last count, there were about 200 unique regulatory legislative requirements in place that impact small to midsized business payroll and HR administration. This is a huge undertaking for any payroll department, even a well-established one. Handing over something like this to the experts will take the burden off your shoulders and ensure your company is compliant with every piece of fine print. As in all areas of business, you want to be sure payroll is done right - and done well. Dedicated payroll companies have important quality control checks in place, ensuring you aren't pushing through payroll data for 120 hour work weeks or paying someone twice. When a mistake like this is made, the time and effort it can require to resolve can really add up and make your productivity take a serious hit. And when the government comes knocking at your door, you will be incredibly thankful to have a payroll service to guide you through the complicated audit process. With all the backed up files and regulations knowledge, the payroll service will ensure you sail through the process smoothly and give you the confidence that everything was done correctly in the first place. In addition to providing the basic and expected payroll functions, some payroll companies also provide extra services, like employee contract management and workplace standards counselling. When you add it all up, it's clear that working with a payroll service will be well worth it both to your bottom-line and for your peace of mind. The amount of energy and time these services save is something companies utilizing them vouch for time and time again.